Best Android Apps for Astrology features some apps which are for predicting star signs, horoscopes, tarot, etc. You believe or not, everyone loves to read these. Take these best Android Apps for Astrology produced predictions in light heart. These Best Android Apps for Astrology are posted for fun only, nothing else. Graphics played a good role in selection of Best Android Apps for Astrology. You can type or copy any name of the Apps/Widgets listed in this list of Best Android Apps for Astrology and search it in Android Market Place using the Search function. 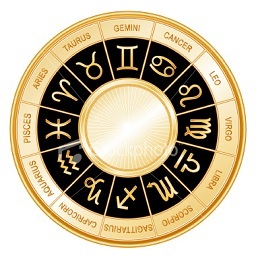 My Horoscope : Read your daily horoscope prepared by an astrology expert. Horoscope : Check your complete horoscopes for today, tomorrow and much more ! This is probably the best Android Apps for Astrology among our list. DailyHoroscope : DailyHoroscope – the most popular horoscope application on Android! Horoscope Plus : Get your Horoscopes every day on your phone. Today’s Horoscope by KT : New insights, every day by KT, The Astrologer. Your horoscope for all 12 signs. New version is named “Astro Horoscope, by Kelli Fox”. We hope you have enjoyed some time testing some of these best Android Apps for Astrology. This Article Has Been Shared 5848 Times! Cite this article as: Abhishek Ghosh, "Best Android Apps for Astrology," in The Customize Windows, January 9, 2012, April 20, 2019, https://thecustomizewindows.com/2012/01/best-android-apps-for-astrology/.